Edward Barber wants to work with his idols, Enrique Gil and Daniel Padilla. With Pinoy Big Brother Lucky Season 7 fourth big placer Edward Barber previously admitting his attraction for big winner Maymay Entrata, Maymay has addressed the issue, saying that it did not cause any awkwardness between the two of them. “As a friend po talaga… Napag-usapan na po namin. Sinabi po namin na, ‘o, magfocus tayo sa kung anong meron natin ngayon tapos i-enjoy natin ‘to. Dapat hindi mawala ‘yung pagiging comfortable natin dahil ‘yun ‘yung importante at saka ‘yung friendship talaga as in, talagang ayun ‘yung nangingibabaw,” she said in a report by PUSH.com.ph. Likewise, Edward said that nothing has changed between them. “For us, nothing has changed. There are enough things changing for us already. For all the housemates in general. Everything has changed for them,” he said. Speaking of the other housemates who made it to the Big Four namely, Kisses Delavin and Yong Muhajil, Edward said that he consider them, including Maymay, as the people he trusts the most. Now that Edward is slowly getting into show business, Edward would love to work on a drama show together with his idols, Enrique Gil and Daniel Padilla. 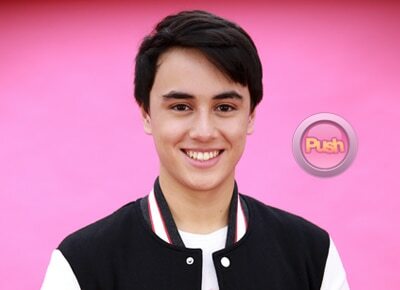 While he does not know what’s next for him after winning the reality show, Edward, who was dubbed as the cheerful charmer from Germany, said that he is staying until August in the Philippines. If his career will turn out well, he would love to extend his stay.